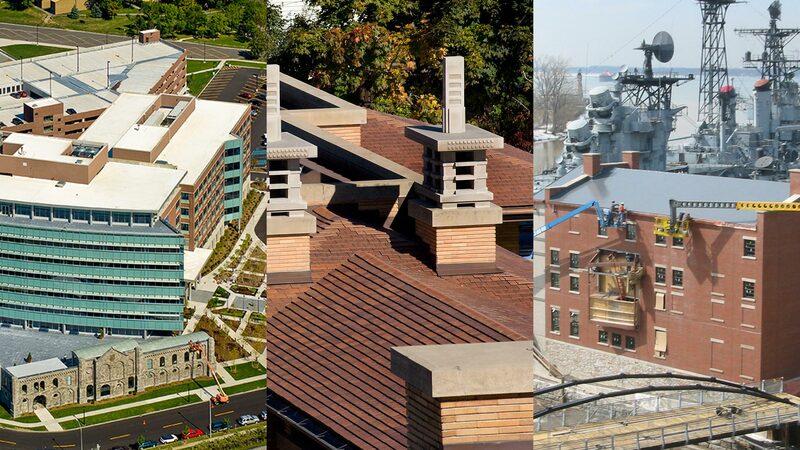 Grove Roofing has over 140 years of experience on some of the most recognizable buildings in WNY. Simply put, we maximize the life of your roof through proper maintenance. Before you replace your roof contact us about our TopWatch maintenance program. Our dedicated service team will work with you to maximize the life of your roof. Whether your flat roof is large or small, our certified staff will help extend the life of your current roof and guarantee a leak free system for up to 30 years. 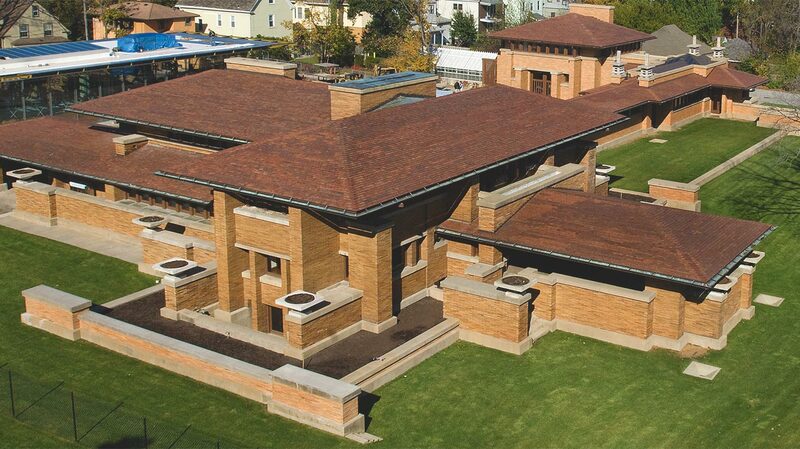 Grove Roofing has an extensive resume of historic restoration experience including some of the region’s most notable landmarks such as the Darwin Martin House, HH Richardson Complex, Old County Hall, Park Country Club, Buffalo State College, Saturn Club and the Downtown Post Office (ECC City Campus). We have the capacity to create miles of standard aluminum or steel flashings, as well as the artisan workmanship to craft custom gutters, steeples, weather vanes and sconces. Our 25-ton Terex boom truck has over 147 ft. of extension and can lift up to 30,000 lbs. Safety is paramount and our operator has over 20 years of accident-free experience. 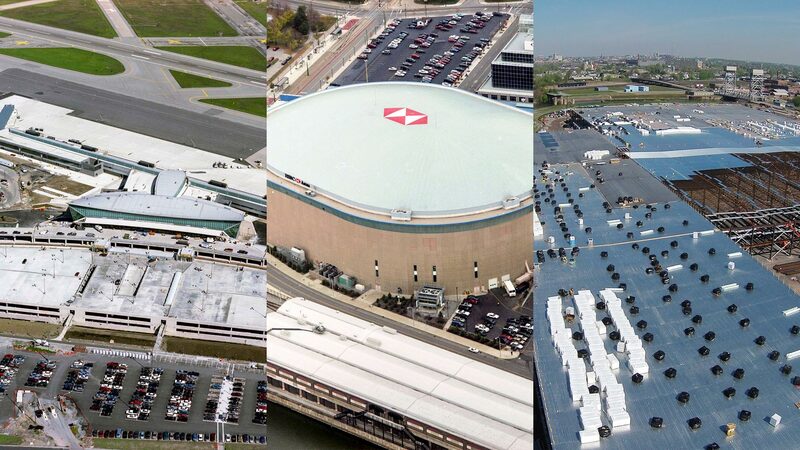 We specialize in all types and sizes of commercial roof systems. Our skilled technicians can expertly install critical flashings on any industrial roof. 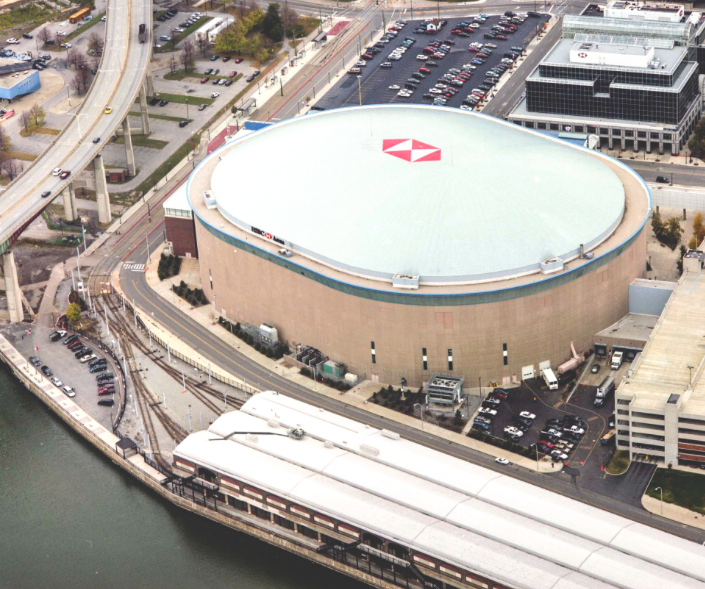 As one of the largest roofing companies in Buffalo, our professional technicians are well versed in the complex procedures required for educational buildings. Our conscientious team will work to mitigate disturbances to minimize the impact on building occupants. Grove Roofing’s expertly trained craftsman have extensive experience working with historic slate, tile and copper roofs. 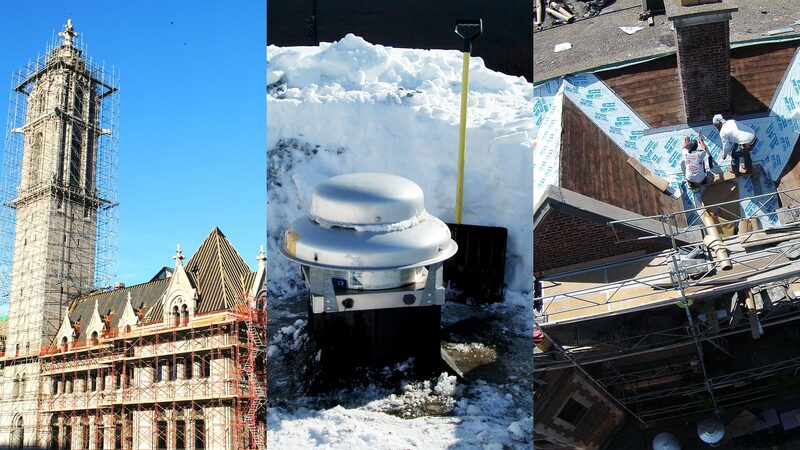 At Grove Roofing we pride ourselves on a culture of safety and professionalism. We provide 350+ hours of classroom and hands-on instructor led training. Employees benefits include pensions, high quality healthcare and competitive wages. Whether you are starting out or looking to take your career to new heights we’d love to talk.